Designed for an utterly romantic bridal look, Naomi Neoh gowns are effortlessly light and stunning in effect. Made using the finest silks and delicate French Chantilly laces, they're a bridal dream come true. 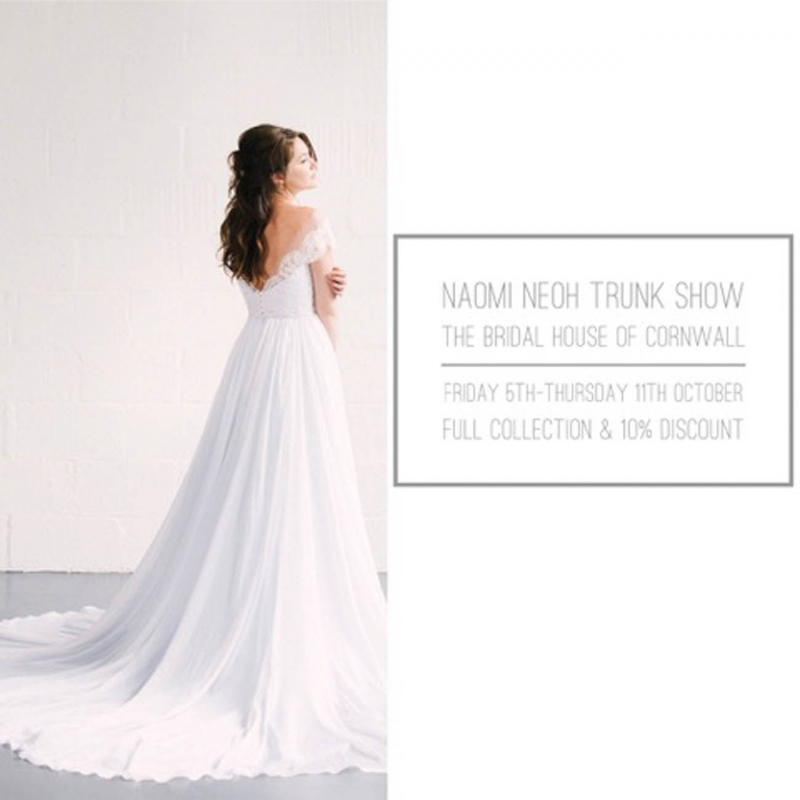 The Bridal House of Cornwall will have the entire collection of new Naomi Neoh gowns available for a full week, from Friday 5th to Thursday 11th October. As well as perusing and trying the full collection – which, with its modern elegance, intricate beadwork and subtle detailing, promises to be totally wow-worthy – any brides purchasing a gown during the trunk show week will receive a 10% discount, leaving ou with extra money in your bridal budget! Situated in Truro's Georgian Mansion House, it's the perfect place to try on gowns and walk the elevated catwalk to see how you look from every angle.